We have a another digi for you today! This one is FREE with a PURCHASE! 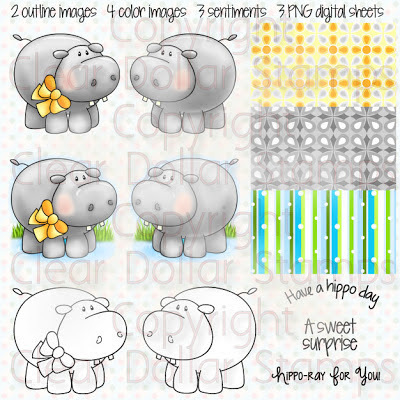 So make sure as you are checking out, that you grab this delightful digital image to add to your collection! It will only be free for four days, Sunday through Wednesday, and then it will move to a paid digital image! 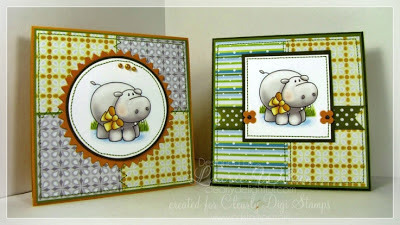 Card sample created by Angela Pruisman. 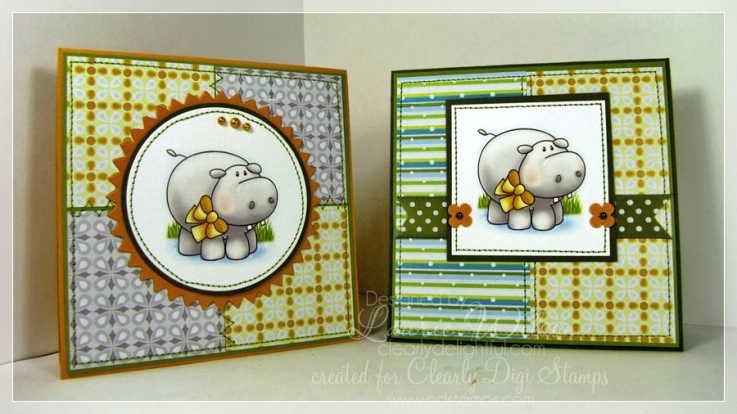 Card samples created by Laurie Wilson. 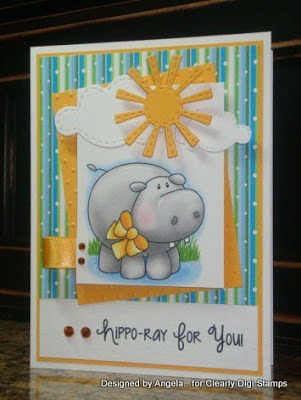 I love the hippo, but I also love everything that Laurie does! 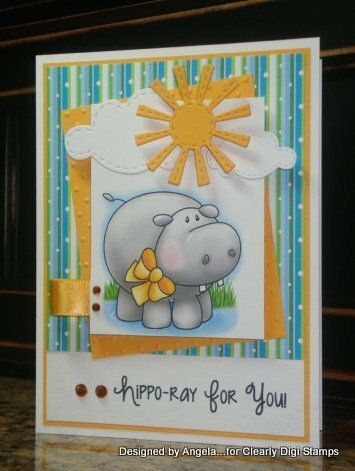 The card examples are absolutely adorable.